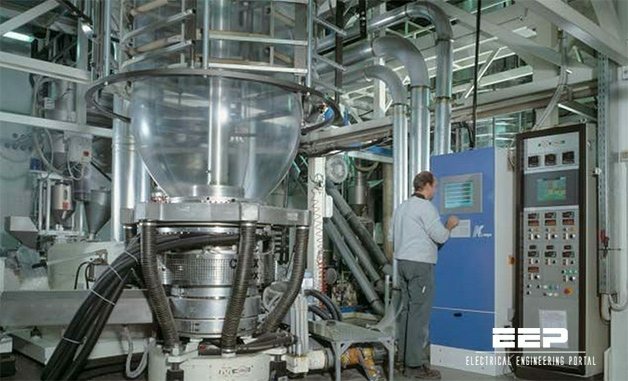 Most end products of the plastics industry are manufactured in a single machine and there is no process flow in the usual sense of the term. The raw material in granular form is supplied to the material hopper of the processing machine, specially designed for the product and the final product is obtained direct from the machine. In large-scale production with several machines and much the same base material, a central raw material supply system is used together with storage silos and pneumatic transport to the processing machines. In such production the individual machines are sometimes connected to a central control system for supervision etc. The extrusion process converts raw thermoplastics in powdered or granular form into a continuous melt stream, which is formed by a die into a variety of shapes. Extrusion is the basic process for converting thermoplastic resins into continuous lengths of shapes having uniform cross-section. It is indicated for standard profiles such as sheet, film, tubing, rods, and custom profiles of any shape. The overall processing cycle consists of melting the raw material, usually in pellet form, extruding the molten resin through a die that forms the shape of the final part, and then hardening the continuously extruded shape by cooling it as it emerges from the die. The continuous lengths are then reeled or cut to desired length. Extrusion generally involves using a screw that advances the raw material or resin from a feeding hopper through a melting zone. The melted material is forced through an orifice in the die that defines the shape of the end product. The extrusion screw provides frictional heat to help melt the resin, and creates the force to form the desired shape in the die with the pressure needed to obtain the necessary product density. External heat is also applied to the extruder barrel as required. Selection of the feed screw is paramount, since this will dictate whether maximum production rates are achieved, and whether the final product quality is satisfactory. 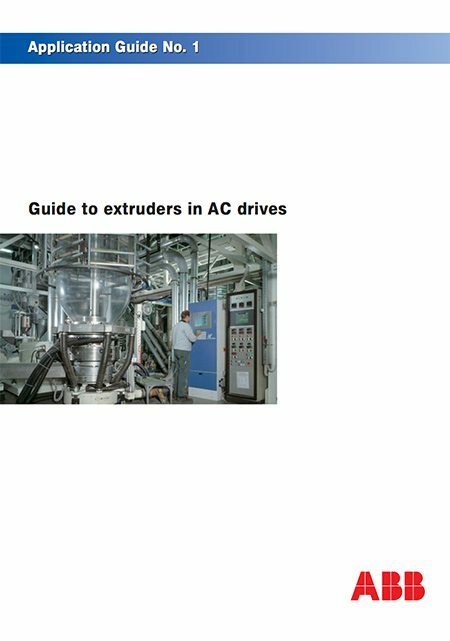 The two most common methods of heating and cooling the extruder-barrel zones are electrical heating and air-cooling, or electrical heating and water-cooling. Water-cooling is more expensive, but its heat-removal capacity is higher.